Confused with maternity wear? I’ll admit it–I was too. Sort of. Over the last 8 months I feel like I muddled my way through building a maternity wardrobe. Style-wise it worked–I wasn’t in yoga pants or anything (see my pregnancy outfits here), but I was kind of just wearing what fit and experimenting with what I could “get away with” at each new stage of the bump. It wasn’t until somewhere in the third trimester that I actually had a good handle on building a functional and cohesive maternity wardrobe, if that makes sense. I’ve gotten requests for help with maternity wear, and while I shared some tips along the way I’ve waited for this more cohesive post until now, towards the end of my pregnancy. I didn’t know what I’d need with a larger bump, and I wanted a better handle on how to actually build a maternity wardrobe, not just take it in stride. Specifically, how to build a maternity wardrobe without buying an entire maternity wardrobe. 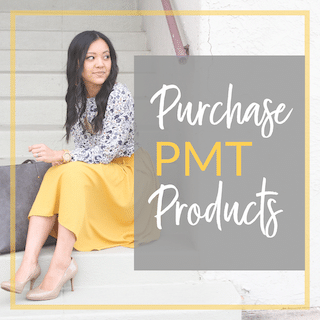 True to PMT readership, we want to make the most of our wardrobes and spend less money if we can, right? Absolutely! 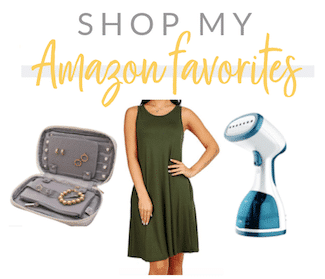 I did a lot of experimenting, more compromising than I’d normally do while shopping, and I definitely made some shopping mistakes. But thanks to generous return policies (Target, I LOVE YOU FOR THAT), the financial hits were minimal. I learned a lot along the way, and now I feel like if I were to do it all over again I’d have a much clearer direction, which I’m now passing onto you! HERE WE GO. 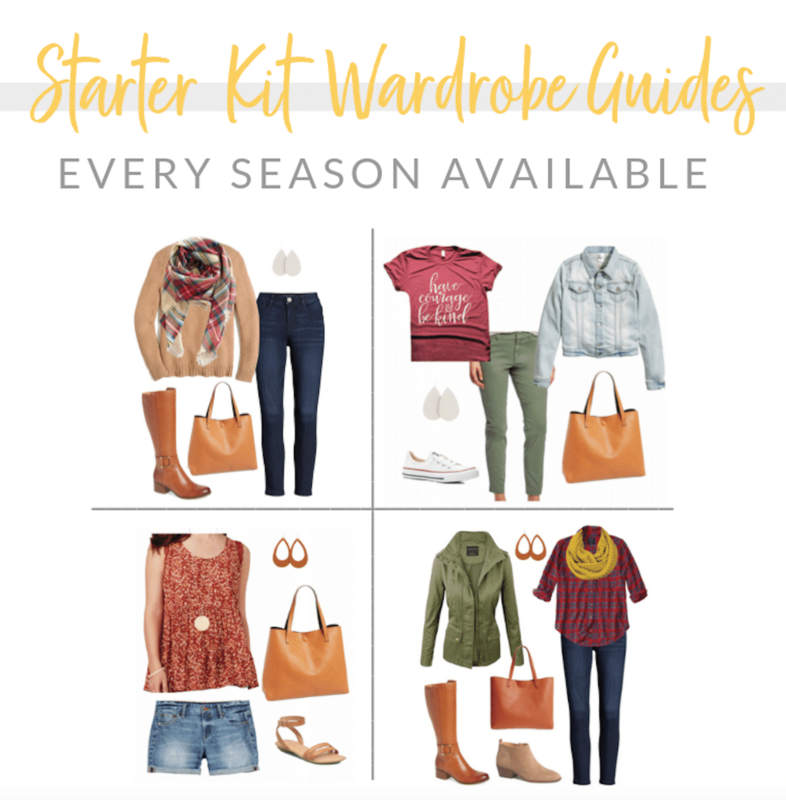 Create a capsule maternity wardrobe that utilizes pieces from your existing wardrobe and adds as many non-maternity pieces as possible that could be worn post-pregnancy. 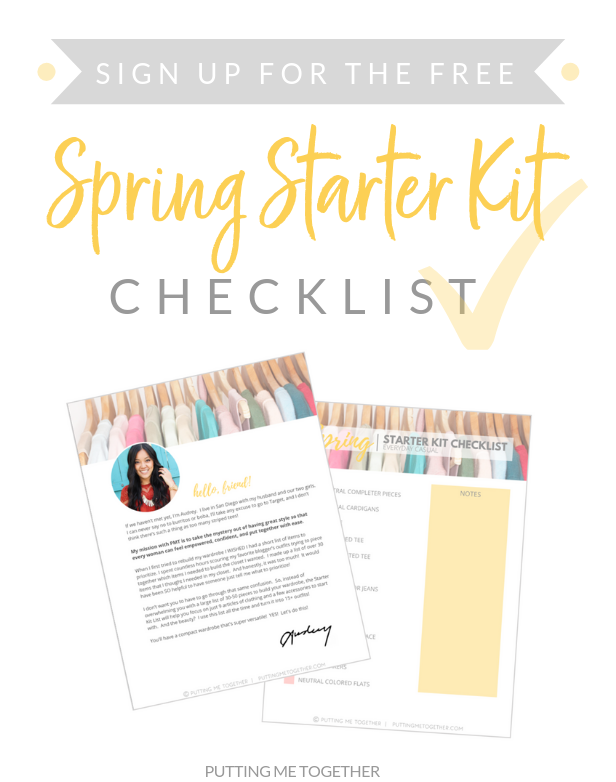 Use the Wardrobe From Scratch Starter Kit Shopping List to create a capsule maternity wardrobe. If purchasing anything, seek to purchase as many non-maternity pieces as you can that will fit your bump yet could be worn later, such as any of those listed above. *Note: Some people like to size up in non-maternity clothes to fit their bumps, but I wouldn’t recommend that unless you could wear the item sized-up post pregnancy too. Or if you have mad sewing skills and can alter if after. This is an example of a maternity capsule wardrobe that includes both maternity pieces and non-maternity pieces that could likely take you through the whole pregnancy. In the middle of my pregnancy when my bump was smaller I was able to wear more pieces from my existing wardrobe (see this post), but they haven’t lasted me through the 3rd trimester. 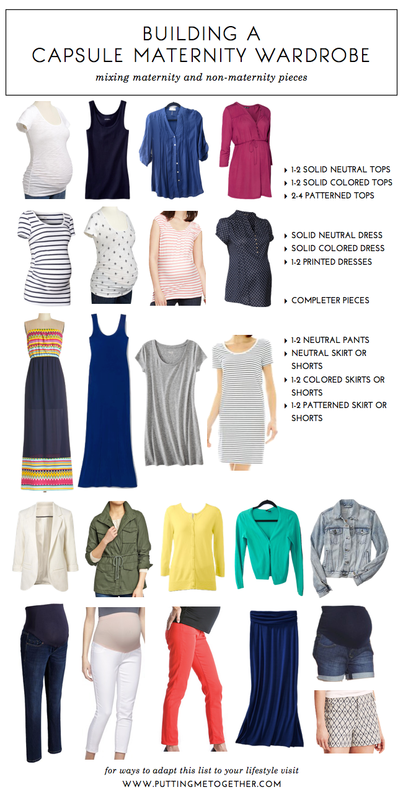 For this capsule wardrobe I only included pieces that could work through the entire pregnancy. In reality you will hopefully have more options than this, especially during the 1st and 2nd trimesters. 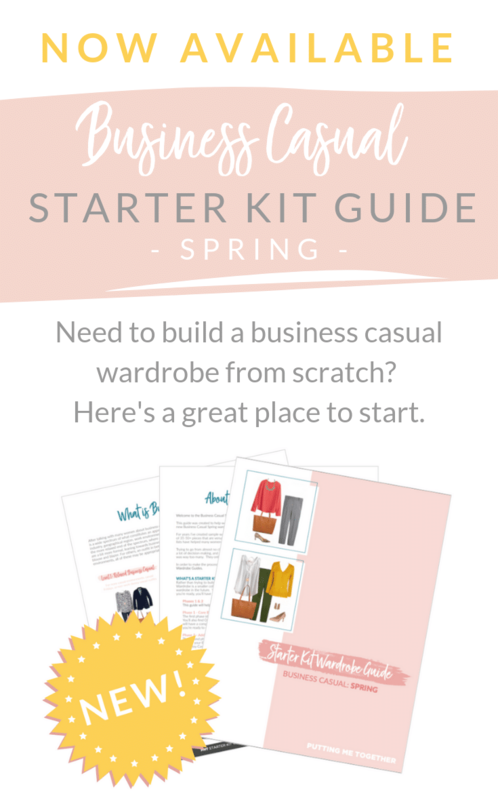 I based this off the Wardrobe From Scratch Starter Kit Shopping List, but you can do an even lighter version since pregnancy is temporary and you don’t need as many outfits. Fill any item on the list that you can with pieces that currently exist in your closet. 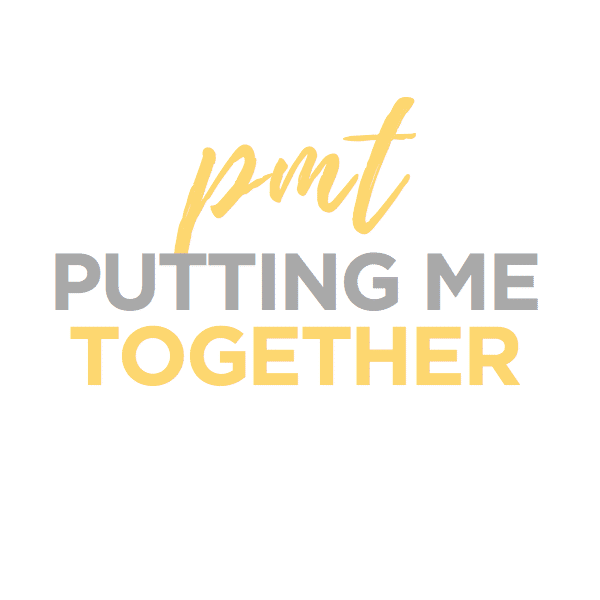 Fill the rest with new purchases, working from the philosophy above: Try for non-maternity pieces first while giving yourself the freedom to buy maternity pieces when necessary. Half of these pieces are not maternity, and that number can definitely be increased. For example, if you don’t need shorts because you won’t be pregnant in the summer and can wear more maxi skirts, fill the list with more non-maternity maxi skirts or knee-length foldover jersey skirts. Finding more non-maternity tops that flatter your bump also helps. 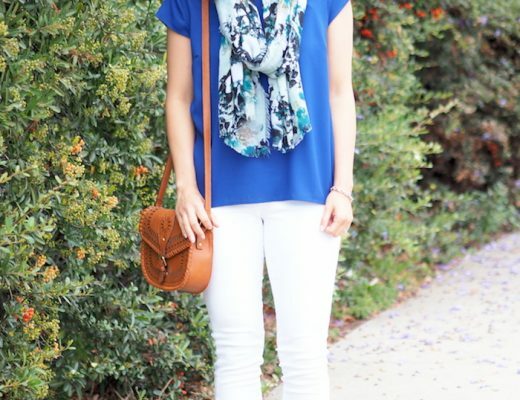 See these pieces turned into outfits with accessories and styling ideas here. The specific items you buy can be different depending on your lifestyle needs and the seasons that you’re pregnant for. My work/life are super casual, and I was most pregnant through out the summer. However, the list should be flexible enough and general enough that you can choose types of pieces that fit for your lifestyle and the season during which your bump is the biggest. For example, if it says “solid neutral top” that could be a white tee or it could be a grey collared button up shirt if you need to look more professional. I show a couple pairs of shorts, one patterned and one neutral, but you could swap them out for a patterned, office-appropriate skirt and a neutral skirt. Get the gist? And finally, some of my favorite stores to shop at for maternity clothes. LOFT and Gap are affordable when there are sales. Other people like Motherhood Maternity and a Pea in the Pod and stuff like that, but I personally never got into them for some reason. Maybe next time? I’d be happy to answer any questions in the comments! Also, I’m sure I left out some huge important pieces, so feel free to add your own tips below. Getting Dressed Made Easier with Urban Darling’s StyleSprite + Win 1 Month FREE Service x3! Nice post! I have been doing a lot of maxi skirts with this pregnancy… and they are the best! I am so thrilled that you did this post! You have made my day 🙂 I am just starting to show and going shopping in the US this weekend (Tar-Jay here I come!) Thanks for the excellent ideas on starting a maternity wardrobe! I wish I would have had this when I was pregnant. Great list Audrey!!!!! Very good tips! I never fit in maternity wear the first time around (I was too small and a teenager), and the second time around everything I bought was for work. I was so huge and uncomfortable I wore my Husband's clothes around the house. If I ever have the pleasure of carrying another child, I'm going to put this guide to good use! Great list! And it so easy to follow and versatile! I end up mostly wearing maternity clothing..but find most of it at thrift stores so it is inexpensive. I also sometimes "size up" normal tops and just plan on them as always being maternity. My best tip is to always be on the lookout for maternity clothes that you like…this works for me since I've always planned on having more than one baby. We have 3 now and plan to have at least 1 more…so when ever I see a maternity piece I like at a great price (thrift stores, consignment stores, garage sales) I buy it! I literally own that Target pencil skirt in 7 colors/patterns. They're the BEST! My only complaint is that the stitching in the panel on the back often seems to come undone fairly easily, but not a big issue. I'd say they run pretty true to size. They're wonderful in warmer weather, and I love how they transition for fall with tights and boots. I've gotten several on poshmark/ebay for $5-10! Was hoping that you would do a post like this!!! Thank you so much! Have just made a list of what I currently have that will work and what I need to get to round out my maternity wardrobe. Great post, Audrey. I am 5 months pregnant and have been building my wardrobe to a point where I don't think I'll really have to buy much for the next 4 months… I just nabbed things on sale when I could and I kind of feel like I'm all set. We'll see… Anyway, thanks again for putting this together. So helpful! Love the hexagon and brass bead necklaces! It took me that long to figure things out too – so my advice in retrospect is often to not try to buy ahead on too much maternity stuff! The stuff I picked up early on, thinking I'd wear later when I got big, didn't pan out that often – because it's so hard to know what your shape/size is going to be! I really didn't need maternity clothes until well over halfway through, especially by using a belly band on regular pants – it took me a while to pop, and then I was ALL belly. But who knows if next time will be the same (I hear it can be different for every pregnancy, even in the same woman…). Also by buying ahead I ended up with more than I needed because to be honest, just like with my regular wardrobe, I had a few favorite go-to outfits that I wore over and over, and I really didn't need that much more. This is so helpful! I need to pin this for future pregnancies. I'm a new follower to your blog. I found you through Instagram 🙂 I blog too, so stop by and say hi sometime! Welcome to the blog, MJ! I ordered this blazer after seeing your post. It got here today and I am in love with it. I have a thin cotton gray striped jacket but feel like I can really only wear it in the spring and summer. I am so thrilled to own this one now and can't wait to wear it! YAY! That makes me so happy to hear! This is an amazing post. I remember struggling with my closet during my pregnancy! I LOVE the look of blazers, but I hate that they often can feel so restricting and stiff. I basically only wear my gray knit blazer these days, because I love how polished it looks, but it still is stretchy and allows me to move! I've been looking for other knit or ponte blazers to replace the stiff blazers I already have. This gray and white striped one is lovely and I can see you wearing it in a ton of different ways! Great post, Audrey! Something to add, that you might discover soon… when buying maternity shirts and dresses, look for pieces that you can breastfeed in! That way, when you still have a bit of a bump, your favorite maternity pieces aren't useless when you want to be able to nurse easily and/or discretely. I'm so glad you posted this–just last week I got a striped blazer in my Stitch Fix box and decided to keep it. It's so cute and comfy and can be dressed up or down. Thanks for giving me some more ideas for how to style it!